Did he drop the matter? Or was his complaint alleging religious discrimination dropped by a state agency? Yes, the Commission on Human Rights and Opportunities dismissed attorney Russell Liskov’s February complaint against City Council members, a decision that was uncovered by retired Superior Court Judge Carmen Lopez following a freedom of information request. 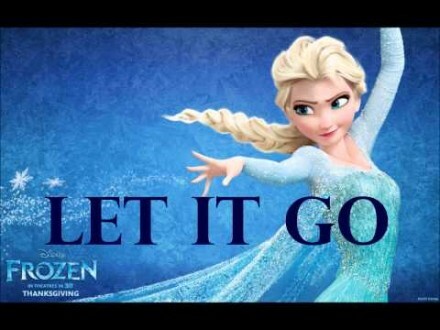 “I was asked to let it go,” Liskov told the Connecticut Post. “And I let it go because I was assured the insanity would stop. And it did.” Well, he didn’t exactly let it go, unless he was planning a civil action in state or federal court. In a decision dated August 13 the CHRO case assessment asserts Liskov “has not pleaded any facts to show that either comment constituted an adverse employment action.” The report also declares Liskov did not show how Martinez retaliated against him based on his religion. Lopez has followed and attended a number of government meetings involving the collection practices of the WPCA. She shares this commentary about the CHRO decision. In the August 20, 2018 edition of the CTPOST, a headline blared across the front page of the paper, announcing that Attorney Russell Liskov’s CHRO discrimination complaint against Bridgeport City Council members had been dropped. The article also informs the public, that Council Members Pete Spain, Maria Valle and Rosalina Roman-Christy had previously apologized to Attorney Liskov, in writing, which led Mr. Liskov to drop the complaint against each of them. The article then continues with joyous quotes from Bridgeport’s distinguished Chief City Attorney, R. Christopher Meyer, and from City Council member Marcus Brown. To paraphrase the late Paul Harvey, this letter is about the rest of the story. Pursuant to an FOI request, I obtained a copy of the CHRO written Case Assessment Review (CAR) issued by the Commission on August 13, 2018. The purpose of the Case Assessment Review is to determine if the complaint should be retained or dismissed. The review plainly and unequivocally states that the case was dismissed by the Commission due to Attorney Liskov’s failure to state a claim for relief. In other words, Russell Liskov, a member of the City Attorney’s Office, who has been rehired by Mayor Ganim and Chief City Attorney Meyer following his retirement, presumably due to his legal expertise, failed to prepare or file a complaint demonstrating how the individual members of the City Council retaliated against him because of discrimination or anti-Semitism. This resulted in the dismissal of his claim at a preliminary administrative stage. Therefore, Liskov’s only remaining recourse would be a lawsuit. There is a logical explanation for Liskov’s inability to produce any evidence to support his claim that his position with the City was at risk. The evidence simply does not exist. Mr. Liskov is an employee of the Executive Branch of government, and not the City’s Legislative branch. Mr. Liskov, Mr. Meyer, Mr. Anastasi and all members of the City Attorney’s Office answer to the Mayor, and not to the City Council, as is painfully obvious to even the most casual observer. Furthermore, as the Case Assessment Review established, Attorney Liskov did not even allege any facts to support his bogus allegation of retaliation by the Ordinance Committee. The City Council did not hire Attorney Liskov, and they can’t fire him. In fact, there is not much the City Council can do to the members of the City Attorney’s Office. They simply accept the City Attorney’s Opinions, or as in this case, they are threatened with litigation. The members of the City Council were provided outside counsel, at City expense, to defend against these unfounded claims and petulant allegations. The City Attorney’s Office seems to believe that the Bridgeport taxpayer is a bottomless pit. The law firm of Halloran and Sage represented most of the City Council members and the firm of Howd and Ludorf represented Ms. Martinez. How much did this abuse of legal process by a member of the City Attorney’s Office cost the Bridgeport taxpayer? Will any of our illustrious members of the City Council even attempt to determine this cost and hold the City Attorney’s office accountable for this waste of money? Don’t hold your breath for an answer! I have filed a request for this information pursuant to the Freedom of Information Act. We know how the Freedom of Information Act works, or does not work, in the City of Bridgeport. I don’t expect a prompt reply. I will probably have to file a complaint with the FOI Commission in order to obtain information which in most Connecticut towns and cities would be provided to a taxpayer as a matter of course. But of course, this is Bridgeport! Again, thank you Judge Lopez, the City Attorney attempted to scare and intimidated City Council members, actually they we’re scare by the Executive Branch of the City government and they didn’t properly follow-up on the City business about the WPCA. RON I can’t speak for anyone else. I fear NO MAN! Let me set the Record straight Its the WPCA which has the Authority to make changes in foreclosure situations so maybe you should read the charter or have Judge Lopez READ it for YOU! WPCA BOARD AND CHANGES ARE COMING! The council owes this City a complete investigation! Judge Lopez is the adult in a room full of children. I appreciate what she is doing for Bridgeport. This suit was an attempt to suppress the 1st Amendment rights of Enida and other City council members because someone’s hands were caught in the proverbial cookie jar. I applaud Enida and those members that stood up to this frivolous lawsuit and the clear message that they sent, that they will not be bullied nor will they be intimidated for speaking truth to power. To Council Members Pete Spain, Maria Valle and Rosalina Roman-Christy, you need to be ashamed of yourselves for bowing to the pressure while Acquiescing your civil rights at the expense of your other council members. Don, I’m in full agreement with you and Maria. The City Council totally dropped the issues with the WPCA because all 20 City Council members were threaten and intimidated by the City Attorney. The issue with the WPCA is still a big problem and Judge Lopez was offering her service to fight this for the City Council but no, all 20 City Council stabbed and turned their back on Judge Lopez efforts. Ernie Newton knows that there is no need for a City Ordinance because there are provisions at the State level that will address the issues about the WPCA foreclosures. This City Council is a total disappointment, you have 10 new members with 1o veteran council members and they depend and believe everything that the City Attorney Office tells them and they are scare to challenge them on anything. RON First let me say you don’t know what you are talking about.The issue with the WPCA, ITS Board will be making changes to our collections dept. Second RON I received my letter from outside counsel and i read everything Judge Lopez stated on this BloG that Mr. Liskov case was dismissed. Members of the city Council knew that Russell Liskov case was weak at BEST. We as a City Council are looking into how much Liskov cause the CITY OF Bridgeport. If the City attorney office has that kind of money to waste maybe we should move monies to other departments or School Board that could use IT! Ernie, is there a need for a City Ordinance to deal with the WPCA? Ernie, you said, “I received my letter from outside counsel and i read everything Judge Lopez stated on this BloG that Mr. Liskov case was dismissed. Members of the city Council knew that Russell Liskov case was weak at BEST,” Ernie, Liskov never had any case against anybody from the moment that he threaten and intimidated you and the other 19 council members. The issue with the WPCA has gone silent and people are still making money from foreclosures and residents are still endanger of losing their home. Ron Once again you don’t know what you are talking about. The WPCA which I’m A liaison to the City Council have been working on a number of things. Name one person who’s lost their home since the Moratorium in place. You of all People people should know. I fear NO MAN! 1. Johnny Ray Moore who talked to us 3 years ago about the dangers and problems. 2. Marilyn Moore and other legislators who passed a bill signed by the Governor in June that moves WPCA agencies in cities larger than 100,000 people to PURA. PURA does not permit foreclosure as a penalty. 3. Judge Carmen Lopez who crafted documents carefully and attempted to instruct all of the City Council student body. 4. Members of the City Attorney Office who have to look at the new law signed and merge it with our process and practice. No more foreclosures in Bridgeport seem likely. Will people pay their bills? Time will tell. JML,thank you for spelling it out, this what I was what I was referring to Ernie Newton. Number 2 spells out what control the action of the WPCA. Number 3 spells out what Judge Lopez was trying to do but they got scare of the City Attorney. The City Council didn’t want to take the advice of Judge Lopez. so what are you talking about? Brilliant! Carmen Lopez for Mayor! She’d get my vote in a heartbeat. You ought to run for office, Robert. There are plenty of idiots and morons that would vote for you. So is the state Attorney General office investigating, the City Attorney’s office on the possibility that someone in the city Attorney office was profiting off the WPCA forcloser scam? Of course,it will not be investigated although,as they say “where there is smoke,there is fire” and smoke is billowing out of the City Attorney’s Office. In fact, I can even see the flames from my perch in Black Rock. Just connect the dots and it’s obvious. However,The State of Connecticut’s Attorney General is an elected position and ,as a Democrat, there will be no investigation since any State Democrats needs Bridgeport’s votes.I’m not even sure it would happen with a Republican Governor or Attorney General. ROBERT More things are happening in the EASTEND since i’ve been back. Our supermarket is a part of our civic block.It has the support of our NRZ and the COMMUNITY. We have Mar4ket interested in coming to the Eastend. Please come to our next NRZ meeting.Many great things are happening in the EASTEND! Don’t rule out a LIQUOR Store!!! Ernie,Eneida, the entire NRZ, the entire school board , other council members and many others who spoke and sent letters to the zoning board demanding that they NOT allow Defilippo/Willinger/Haig to have their way and allow the existing distance requirements to be altered. The Zoning Board voted in favor of that proposal, and granted these three cohorts their wishes. The zoning board discounted EVERYTHING to allow this so therefore maybe there will be another liquor store where the neighborhood doesn’t need one!! Good luck!!! The saga may continue and Defilippo/Willinger And Haig May not actually have the last laugh. ROB First of all Bid have gone out for Our Civic block New Library being done. Our community and NRZ with Our Elected official are looking at putting the grocery store with in the civic block.It interesting that you are putting me at center stage When it should have been placed on passed administrations. All i can say is a grocery is COMING! Off subject,today was a bad day for Trumpanowski and the CT Republican Party(Manafort and Cohen). Trumpanowski gets the support of a possible un-indicted co-conspirator(Trump). It won’t be a decisive factor but will not help Trumpanowski and CT Republicans who are making themselves as carbon copies of Trump. Republican gubernatorial candidate Bob Stefanowski said he would be proud to have 45 come to Connecticut to campaign for him. Bob Stefanowski you’re too stupid to be our governor. I’ve been reminded many times that I should not be so serious with my comments and should not expect others (especially Frick and Frack) to display actual knowledge. This posting, though, is off the chart with comments that show lack of knowledge and an expectation that readers actually believe them. Rob first of all if you want to hold someone accountable why didn’t you shoot your mouth off about the Pasted administration,who did nothing. Great things are happening in the EASTEND and that why i said if you came to an NRZ meeting you would know and stop shooting from the hip and just because Lennie doesn’t put everything on the BLOG.Ordinances have passed and at Our next City Council meet We will Vote on a Ordinance HIRE Bridgeport Residence First for companies who get Tax breaks 25% and 5% for ex-felons. I sent the Ordinance to Lennie maybe he’ll post it. You don’t have to find Jesus for me. You need to find him for yourself. I met him a long time ago. It because of HIM that I’m able to forgive those for they no not what their doing.ROB i leave you with THIS Namaste my Brother! I’ll Let my Good brother RON /DON share with you what Namaste Means! Ernie, just a suggestion that I have given to others on OIB, don’t reply to Robert Teixeira, you are much better than that and Namaste. Ron don’t ever bring up the food desert East End then. You have a lot you need a story, case closed. Or at least it should be, right. That all I really said. ROBERT I’ll close with this YOU May want to play GOD, But GOD Will NEVER Play YOU! Namaste mean The Divinity in Salutes The Divinity in YOU! and yes i know Jesus was a JEW and did you Know That Jesus had hair as wool and his feet had the color of bronze so that would have made him a Black Man! Namasta Means the Divinity in me Salutes The DIVINITY IN YOU so you learn something to day About Jesus and Namasta Rob. ROBERT One thing for sure. It does;t look like He was white as many pictures show HIM! Have a great day and once our grocery store comes to the EASTEND I’ll invite you to come and bye something in the Hood!